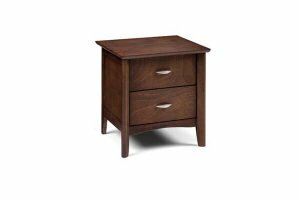 The Darby light oak 2 drawer bedside is made from high quality light oak melamine veneer finish. We also provide this range in a contemporary walnut finish as another option. 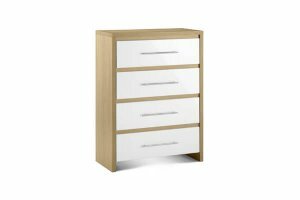 The 2 drawers are complimented beautifully by their chrome handles. 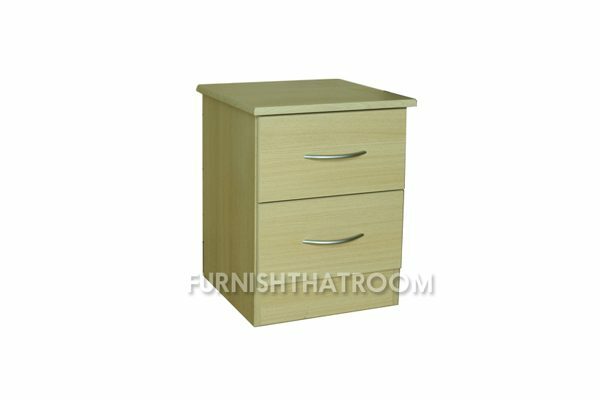 It is certainly a piece of furniture that would suit any bedroom interior, bringing a fresh and modern look to your bedroom. 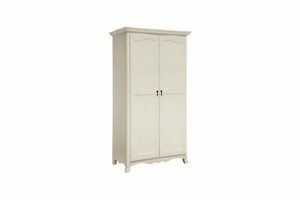 Alternatively it doesn’t have to be used as a bedside unit, if you’re looking for that extra bit of storage space and have limited room then it is the perfect solution to add to or co-ordinate with your exisiting furniture range. Each drawer runs on metal runners which glide open and shut with ease. 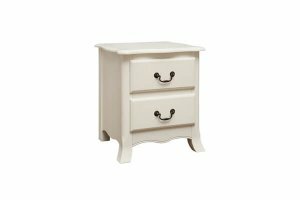 * The Darby 2 drawer bedside is delivered fully assembled ready to use straight away.